Clearwater Beach Uncorked is delighted to announce sponsors and special guests at its 4th annual wine and food beachfront spectacular to be held on February 7th and 8th, 2015, from 1 p.m. to 5 p.m., beneath the Hyatt Regency Clearwater Beach Resort and Spa. Clearwater Beach Uncorked will donate a portion of the proceeds from ticket sales to the University of South Florida Sarasota-Manatee College of Hospitality and Technology Leadership. This year’s sponsors include: Publix, Duncan Hines, Florida Department of Citrus, Hefty, Philadelphia Cream Cheese, Planters, Organic Girl, Reynolds, and more. 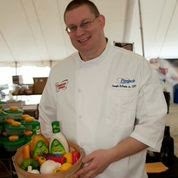 Chefs will whisk away from the Publix Aprons Cooking Stage. Appearances by Food Network retro rad Chef Emily Ellyn, Publix Aprons Chefs Jim Hendry and Tony Logerfo, Duncan Hines Corporate Chef Joe DiPaola with a special appearance by Hefty NASCAR driver Eric McClure and Gerald Walen, author of Road Trips for Beer. Wine and craft beer enthusiasts will love the launch of the delectable Brew-B-Que cooking session with Food Network Chef Emily Ellyn. Tickets to the Grand Tasting event will provide access to the premier destination for foodies, wine lovers and craft/micro-brew beer aficionados. Enjoy fabulous food from the area’s most delicious restaurants, ‘boutiquey’ hot-spots, and world-class hotels. Taste over 100 wines from across the globe and enjoy the best brews available. Sip, savor and be seen on Clearwater Beach at this paparazzi-filled event nestled on one of the most exquisite beaches on Florida’s Gulf Coast. Guests of the event will enjoy a perfect beach weekend coupled with light bites of sweet and savory fare to compliment a vast array of enviable and recognized wines and craft beers to satisfy every palette. Meet with wine specialists, brew masters along with the best and brightest chefs from across the Bay-Area during this week-long gastronomic experience. Clearwater Beach Uncorked, described as the finest beachfront culinary event on Florida’s west coast, is brought together by sponsors: Hyatt Regency Clearwater Beach Resort & Spa and Publix. 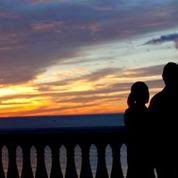 Clearwater Beach Uncorked will bid the ultimate pre-Valentine’s Day beach getaway complete with delicious tastings from the area’s most renowned restaurants, along with savory wines, craft beers, and microbreweries. 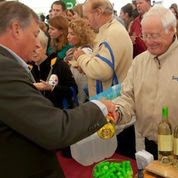 For more information, visit http://clearwaterbeachuncorked.com. Hyatt Regency Clearwater Beach Resort offers remarkable elegance with the tropical, carefree experience on Florida’s west coast. Views of the Gulf along with extensive floor plans in luxurious one- and two- bedroom suites provide the perfect getaway addition. For more information or reservations, please visit http://clearwaterbeach.hyatt.com. The USF Sarasota-Manatee College of Hospitality and Technology Leadership (CHTL) is one of the fastest growing colleges in two of Florida’s fastest growing industries. For 10 years, this USFSM program has offered a collection of learning tools for managers in the hotel, restaurant and tourism sectors, including planning, finance, accounting, economics, technology, marketing, branding, and more. For more information visit www.usfsm.edu/chtl.